Is Hillary the "Kryptonite" Democrats Need? It's no surprise that the political arm of Michigan Equality wouldn't be happy with Bill Schuette. After all, he's may be the last state Attorney General in America still fighting in court to discriminate against gays who want equal rights. "Mark Schauer is a longtime champion of LGBTQ issues and equality," said Sommer Foster, political director of the Equality Michigan Pride PAC. Foster added, "The Equality Michigan Pride PAC knows that as Governor, Mark Schauer will continue to fight for LGBTQ families and our allies on the issues that impact our lives everyday." Apparently Governor Snyder's "I'll wait for the Court of Appeals" leadership position in marriage equality wasn't enough to sway Michigan Equality in his direction (snark font).
" The Attorney General needs to be a voice for the rights of all of Michigan's citizens, regardless of political influence or moneyed interest. I know Mark Totten will be that voice, with the legal and crime-fighting expertise to accomplish a great deal as Attorney General." Totten's biggest electoral challenge: he is being massively outspent by Bill Schuette, who has built a 30-year political career by snuggling with some of Michigan's biggest corporations and wealthiest citizens. You can help close the gap right now: click here! The Snyder administration is throwing a hissy fit over reports from non-partisan groups showing that fewer dollars are making their way into classrooms. Yesterday it was a study from the Center on Budget and Policy Priorities. Now it's a study from the highly respected Citizens Research Council which shows that while total appropriations are up, it is mostly because of makeup payments for retirement obligations. The numbers get complicated, but the mLive report shows clearly that the discretionary portion of school aid – the money that actually gets into the classroom – has gone down $234 between 2011 and 2015.
been blocked, on orders from the NRA, for 11 months. 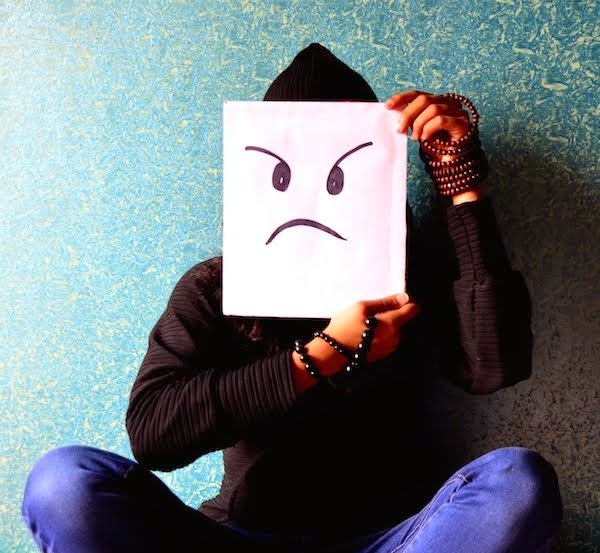 The Curmudgeon gets a little heated watching members of Congress vent about the CDC's response to the ebola breakout (on the other side of the world). The people making the most noise, and the most outrageous fear-mongering, are 1) ignorant about the science of epidemiology, and 2) the same folks who cut $1-billion from the CDC budget in the last two years ... and can't connect the dots between budget cuts and reduced performance by an agency. The loudest voices in the Senate are from Senators who have blocked confirmation of a Surgeon General for a yearNational Rifle Association, a group which takes issue with the reality that gun violence is a public health issue ... an issue that results in the death of 9,000 people annually in the U.S. So far, we have all of three cases and one death from the virus. In comparison, the CDC estimates a few thousand people die annually from influenza every year. Maybe we need a travel ban on anywhere that has the flu? On the other side we have headline-hunting, vote-hungry members of Congress (especially the Obama-hating caucus), ratings-desperate cable news channels and general jackasses like Bill O'Reilly, Joe Scarborough and Matt Drudge. As usual, President Obama is trying to be the adult in the room, offering actual scientific information and putting things into perspective. Click on the link to learn what is actually happening, minus the fear-mongering, alarmism and paranoia. As many as 20% of the ballots cast in this year's general election could be by mail: absentee voter ballots filled out at the dining room table instead of inside a voting cubicle. Democrats are putting a major effort into encouraging people who tend to only vote in Presidential years to get out this year ... with the memories of the 2010 debacle still fresh in their minds. state having a right-wing Legislature and Governor ... and giving them the power to manipulate legislative/congressional districts so they could win even while losing the popular vote. Democratic State Chair Lon Johnson's focus is on getting the stay-at-homes from 2010 who are likely Democrats to the polls, or to vote absentee. Anyone can apply for an absentee ballot if they don't expect to be in their precinct on election day. Anyone 60 or over qualifies automatically. 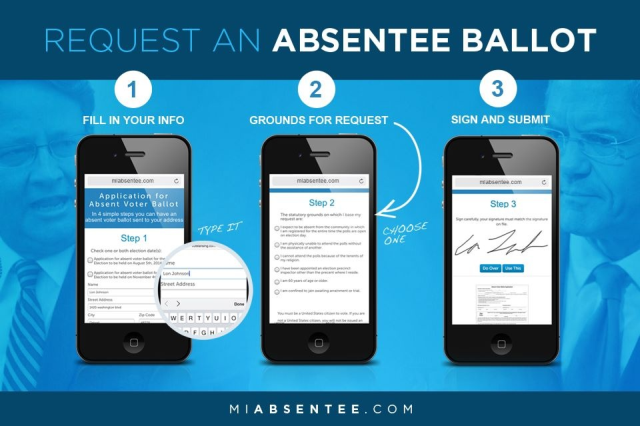 You can get the A/V ballot application by clicking here, or apply online by going to MIAbsentee.com (you need a touch-screen device, such as a smartphone, to apply online). mLive columnist Susan Demas isn't that blunt, but that's a reasonable conclusion from her column headlined "Snyder Hates Campaigning, and It Could Cost Him." Campaign demeanor: Schauer smiles, Snyder scowls. She notes his unease in public situations where he has to lower himself to communicate with the unwashed masses, and his disdain for anyone (like Mark Schauer) who would dare to question his amazing accomplishments in triggering a Michigan comeback that he admits most of us haven't seen yet. It goes further, though. Think back to all the times Snyder and his GOP cohorts in the Legislature did everything they could to short-circuit the rights of voters to put measures on the ballot. They twice passed laws to make anti-wolf-hunting petition drives moot; they did the same with the minimum wage ballot proposal (which ultimately fell short of the needed signatures). They saw the people overturn the Emergency Manager law, and promptly passed another one. And time-after-time they added small appropriations to laws like Right-to-Work (for less) to make them immune from referendum thanks to a quirky provision in the state Constitution. And, in the state House, they even ignored the Constitution repeatedly by ordering "immediate effect" for laws without the required two-thirds vote. This isn't a government that respects democracy, nor is it a representative government. It is raw paternalism: they know better than the voters. That's why they should all go.